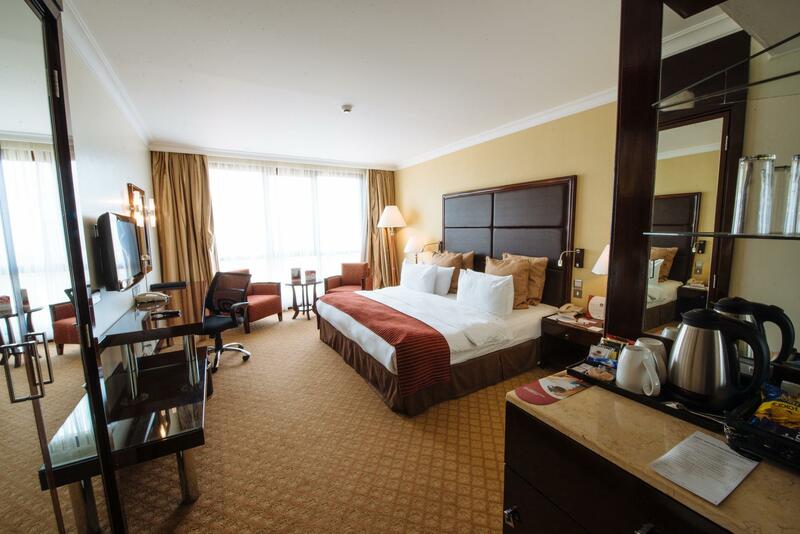 ﻿ Crowne Plaza Nairobi Nairobi. JIMAT di Agoda.com! Hotel bertaraf 4 bintang yang elegan ini mempunyai sebuah kolam renang luaran yang dipanaskan. Ia berjarak hanya 20 minit pemanduan dari Taman Negara Nairobi. Para tetamu boleh menikmati spa di lokasi dan sauna, atau salah satu daripada pelbagai perkhidmatan urut. Semua bilik di Hotel Crowne Plaza Nairobi mempunyai penghawa dingin dan bilik mandi peribadi dengan jubah mandi. Setiap bilik mempunyai sebuah meja kerja, Wifi percuma dan TV skrin rata. Crowne Plaza mempunyai sebuah pusat kecergasan. Pelatih peribadi disediakan. Kaunter penerimaan tetamu yang dibuka 24 jam menyediakan kaunter tempahan pelancongan dan perkhidmatan menjaga anak untuk tetamu. 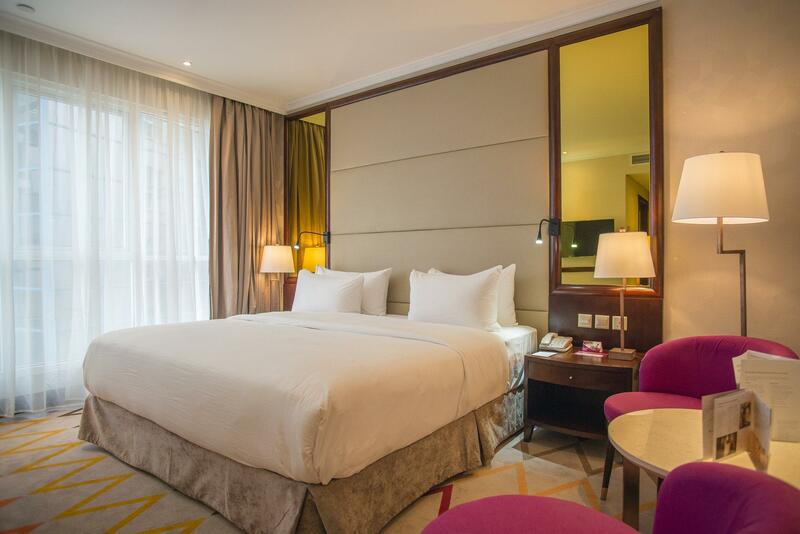 Crowne Plaza Nairobi menawarkan pelbagai pilihan untuk menjamu selera. Sikia menawarkan santapan dan juadah kulinari. Snek, minuman dan hidangan ringan boleh dinikmati di Babalu's Lounge. Para tetamu boleh melayari internet di Alabaster Coffee Lounge sambil menikmati kek lazat dan pastri. Sarapan, makan tengah hari, makan malam dihidangkan di restoran Baraka yang kasual dan kontemporari. Kenderaan boleh disewa untuk satu hari atau setengah hari. Muzium Negara berjarak hanya 10 minit pemanduan dari hotel ini. the staff specially Cyrus at the front desk was most helpful. Our stay was pleasant overall. 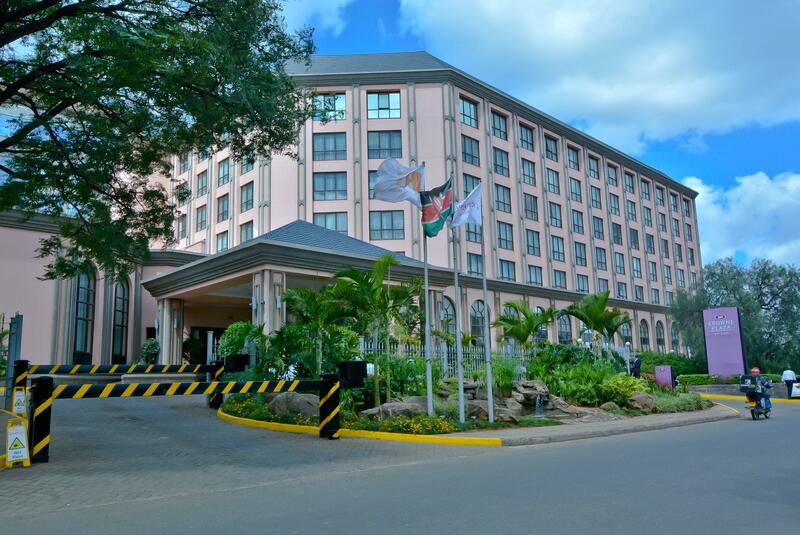 One of the best value for money hotels in Nairobi. Attentive staff, newer facilities, great breakfast options and good room sizes. Stayed twice in the last few months and is now my first option when in Nairobi. great experience! It's pillow menu and small gift to help sleep are ideal for world travelers whose suffering from jet lag. 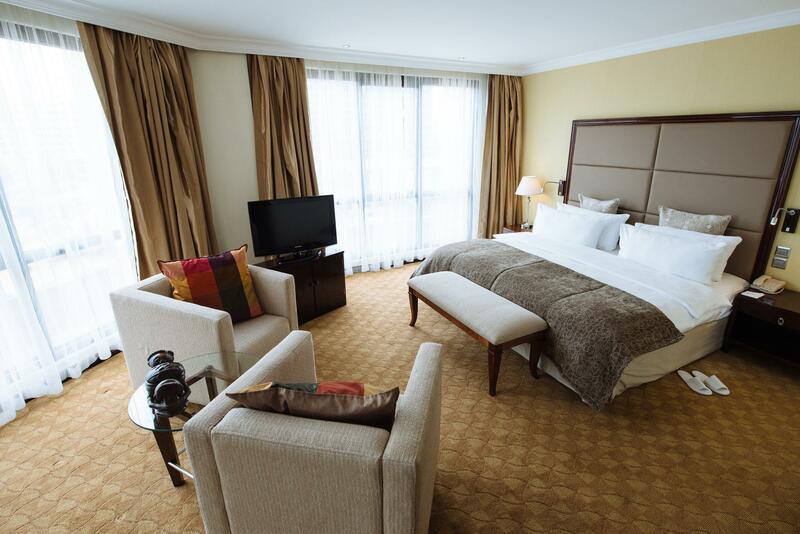 Recommended if you are an IHG member or you are on your business trip in Nairobi city. For tourists, Windsor golf and resort is better. The hotel is new, the beds were comfortable, and the room was a good size. This hotel was great for our overnight stay in Nairobi. I wanted a hotel that felt safe and was easy for us to get around the city. This was the perfect place. I would definitely stay here again. 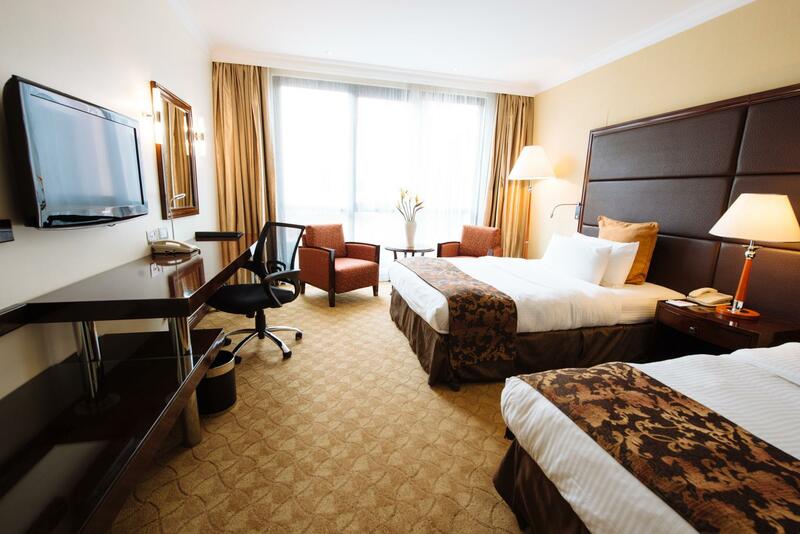 The hotel is located nicely in the Upper Hill vicinity which is a short ride to the airport making it convenient for travel around the city. The rooms are spacious and comfortable with convenience of free WiFi. Food was great with a large spread of buffet breakfast and the fine dining restaurant although on the pricey side, caters for the most discerning diner. Great hotel with nice friendly staff and free wifi. I have used this hotel before for a conference and found it to be well priced. The fine dining restaurant serves awesome food, however it does lean on the pricey side. Will definitely stay there again. We stayed for three separate nights recently; none were entirely satisfactory. The female receptionists on two occasions were coldly impersonal and seemed unhappy that we were dressed for a safari and not for business (I wear a dark suit 250 days a year but not when returning from a safari, sorry). In contrast the concierge brought us hot towels and cold drinks, while she coldly processed us. We ate in the restaurant on two nights and had room service on the other. None of the meals were worthy of a 4 star hotel. On the first night the grilled fish was so overcooked it was almost impossible to tear from the bone let alone eat. On the second night the avocado in the salad was so black as to verge on rotten. Neither should have left a well supervised kitchen, Unbelievably the avocado was just as bad when ordered through room service on the third night. Breakfast was satisfactory on the three days but the choice was very limited; less than expected for the standard of the hotel. i enjoyed my stay at crown plaza hotel. its location is not great however it is not too far from the cbd (centre business district). the room is clean and nice. The hotel is very well designed, but the access road is very bad. The staff were very professional, and the club floor apartment was very luxurious. 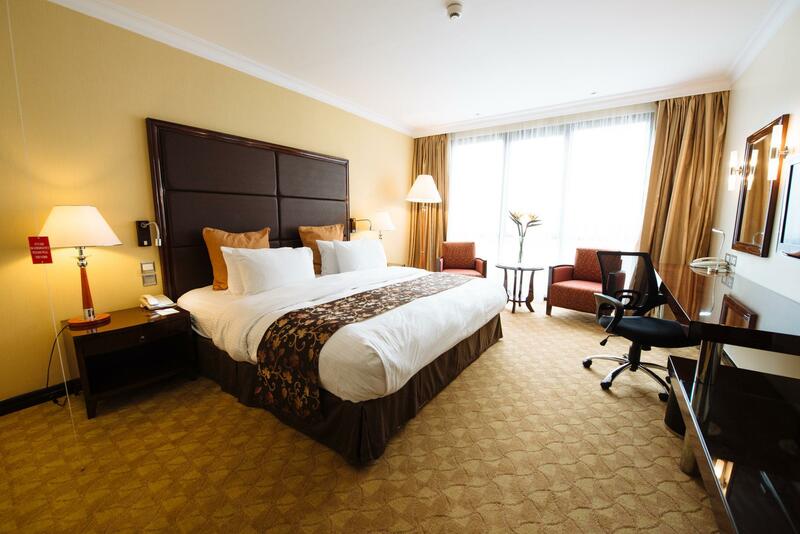 There is limited access to shopping and sightseeing, but the interior of the hotel is comfortable enough for a short stay. A classy hotel, located in a quiet neighbourhood. The service was good, the food was very good and the Staff went out of their way to be friendly and helpful. As I only stayed for one night, I did not take full advantage of all of the amenities on offer. i had a very nice stay. i was only there for one evening, but the service was great and the food was very good as well. i would stay there again. I used this hotel mainly because of my business purposes in Nairobi. clean and comfortable hotel. staff are very friendly and helpful. staff went to enormous effort to assist with changing flight bookings for us. stayed 2 nights after safari, having stayed 1 night previously. A good hotel, freindly staff, had a good massage, and the food was v good too. i stayed here twice at either end of a safari holiday. the hotel was good, efficient and the staff were freindly. meals were good as was the spa too. 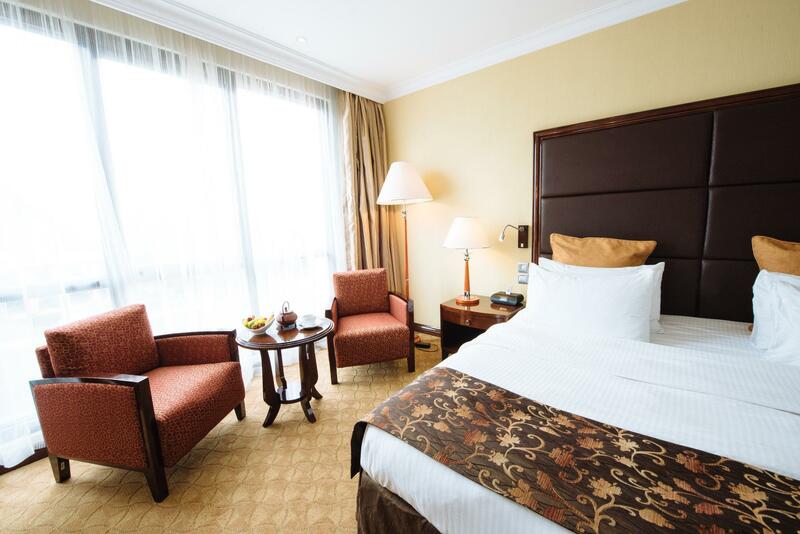 as a single woman i had been unsure re nairobi, but in the hotel, i felt very comfortable - the airport transfers collected me on time and it was a very relaxing quick break. Stay was short but very nice. Good restaurants and food quality, although a bit pricy for Nairobi. The hotel room was priced at over USD 300 including the taxes. I consider this high for a hotel of this category although we must take into consideration that hotel prices for good hotels in Nairobi are in this range. I believe that all these hotels are overpriced. It was a very comfortable hotel and we will book same hotel next stay in Nairobi.